Practice makes everything easier, and that includes the SAT test. 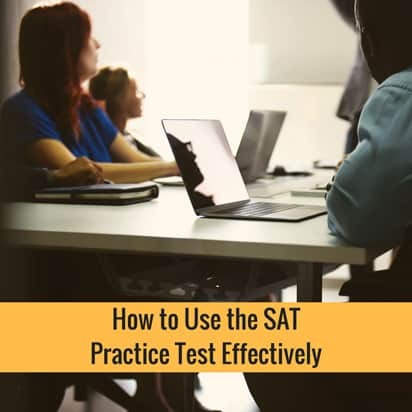 If you are looking for a way to increase your chance of getting a high score in SAT, you need to do more than just studying the topics; you need to practice taking the test itself through SAT practice tests. What is the SAT Practice Test? To test your readiness for the SAT. To familiarize you with the SAT test structure to reduce anxiety. To help you spot your weak areas, so you’ll know where to focus on when you study. To help you strengthen the skills needed to achieve your desired SAT score, such as critical thinking skills, analytical skills, and problem-solving skills. To put your knowledge and concepts you’ve reviewed into practice so you can remember them. What’s in the SAT Practice Test? The same topics and format as the real SAT test. The same instructions and techniques. An answer key so you can check your work. Some practice tests have a timer, which allows you to practice your time management skills for the test. Why Take SAT Practice Tests? To strengthen your skills and increase your chances of getting a good SAT score. This is the ultimate purpose of the SAT test. To know where to focus your review efforts. Taking practice tests will tell you right away where your weak areas are. SAT tests will also boost your confidence as you become familiar and comfortable with the test structure. This will ease your anxiety as you will have an idea about what kind of test you’ll take on your scheduled test date. 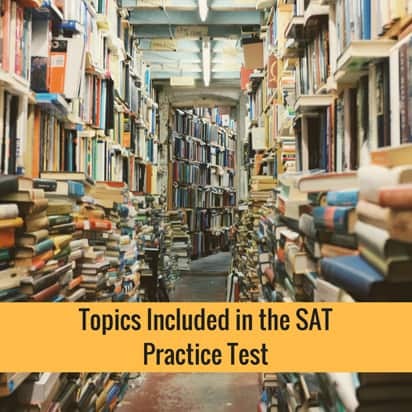 Topics in the SAT practice test are also the same topics in SAT itself. So, the practice test for SAT also includes the following areas of knowledge. First section: Does not allow calculators. It consists of 15 multiple choice questions and 5 grid in questions. Second section: Allows calculators and consists of 30 multiple-choice questions and 8 grid-in questions. Reading: How well you understood the passage. Analysis: How well you understood how the author builds an argument. Writing: Your ability to write an organized and structured essay, complete with an introduction, body and conclusion using standard written English. You will be asked to read a passage. Passages are taken from publications or published text. You will analyze how the author builds an argument. You will explain how the author uses evidence, logical reasoning, and persuasive techniques to build his arugment and persuade his audience. You will not be asked to explain what the passage is all about or come up with your own personal opinions about the author’s arguments. Use it to assess your current skills. Notice which areas you find difficult or make the most mistakes. In order to get the most out of your practice test, you need to take it as many times as possible until you get the best score. Don’t cheat by peeking at the answer sheet. Use it as a guide for the topics you will study. Don’t depend solely on it. You also need to read and study the subjects for the SAT but always use the practice test to measure your progress. Create a study plan that includes the SAT practice test before and after reviewing topics. Practicing improves retention. Take SAT practice tests now.